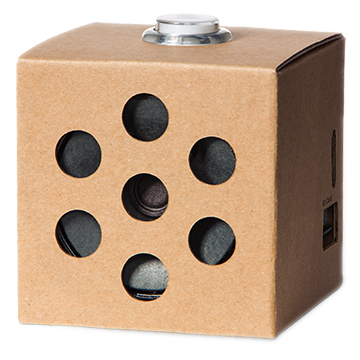 The AIY Voice Kit is a do-it-yourself intelligent speaker built with a Raspberry Pi and the Voice Bonnet (or Voice HAT if using the V1 Voice Kit). After you assemble the kit and run the included demos, you can extend the kit with your own software and hardware. Also see the Voice Kit assembly guide. aiy.assistant: A collection of modules that simplify interaction with the Google Assistant API. aiy.cloudspeech: APIs to simplify interaction with the Google Cloud Speech-to-Text service. aiy.voice.audio: APIs to record and play audio files. aiy.voice.tts: An API that performs text-to-speech. aiy.board: APIs to use the button that’s attached to the Voice Bonnet’s button connector. aiy.leds: APIs to control certain LEDs, such as the LEDs in the button and the privacy LED. aiy.pins: Pin definitions for the bonnet’s extra GPIO pins, for use with gpiozero. The V2 Voice Kit includes the following Voice Bonnet hardware. Also see the Voice Bonnet on pinout.xyz. The V1 Voice Kit includes the following Voice HAT hardware. Also see the Voice HAT on pinout.xyz. See the Voice Kit help. © Copyright 2018, Google LLC Revision 56d40c7c.